Gokulashtami krishna janmashtami festival, is an Indian festival celebrating the birth of the Lord Sri Krishna, the revered Hindu god. Gokulashtami is also known as Sri Krishna Jayanti, Krishnashtami, Saatam Aatham, Ashtami Rohini, Sree Jayanti. Gokulashtami is celebrated for two days. The first day is Krishnashtami or Gokulashtami. The second day is called Kalastami or more popularly, Janmashtami. 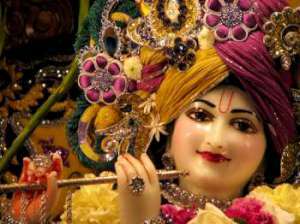 Krishna janmashtami, in 2016, it is celebrated on August 25th, Thursday. The fast breaking is to be done on August 26th, at / after 10.52. Sri krishna was the eighth avatar of Lord Vishnu. He was the eighth son of Princess Devaki and her husband Vasudeva. He was from the Yadav clan. Devaki's evil brother Kamsa (King of Mathura) was afraid of a prophecy that he will be killed by Devaki's eighth son. Kamsa put Devaki and Vasudeva in the prison and killed their six babies as soon as they were born. As Krishna was born in the midnight, Lord Vishnu told Vasudeva to take Krishna to Gokul, in Vrindavan, where Nanda and Yashoda lived as it would be a safe place for Krishna. Vasudeva crossed the overflowing Yamuna river. He left the baby Krishna with Yashoda and brought back her daughter hoping that Kamsa will spare the baby girl. But the evil Kamsa threw her on the stone to kill her. She rose into the air and warned Kamsa about his death and disappeared. Krishna grew up in Gokul among the cowherds with his brother Balaram. There are many stories about the miracles happening around the baby Krishna and also about his antics. Kamsa came to know about krishna and invited him to Mathura with the intention to kill him. The child Krishna went to Mathura and killed Kamsa. Krishna was born to eliminate evil king 'Kamsa' and show the right way to live life. Mahabharat is the Hindu epic which shows the fight between good and bad. Sri Krishna played a very important roll in it. Bhagvad Gita is the Hindu holy scripture told by Sri Krishna to Arjuna, a warrier, on the battle field. Arjuna put his weapons down and refused to fight when he saw his relatives on the enemy side. Sri Krishna told him to do his duty. Bhagvad Gita tells how one should do one's duty, how a life should be lived without expecting the results of our action. Our attachment to the perishable body is the cause of many miseries in everybody's life. The first day is for fasting till the birth of Krishna. The second day, janmashtami or kalashtami is also known as 'Nandotsv'.